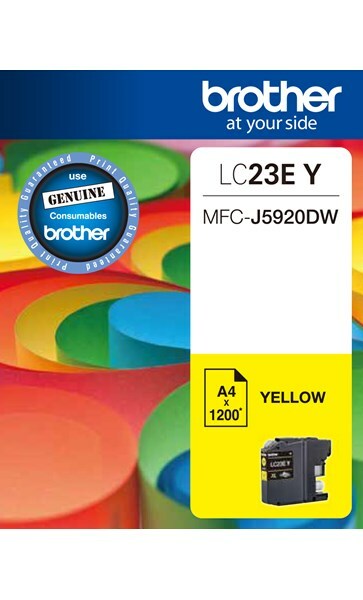 LC23EY Brother Yellow Ink Cartridge - Yield approx. 1200 pages. Cartridge yield is declared in accordance with ISO/IEC 24711.